Finding a Locksmith in North Hollywood CA is one of the daunting things you ever do because you are looking for a perfect needle in a haystack. Yes, searching for some reputable and trusted service is just like that when you have so many options all around the city. Think of a situation, when you reach home and find that you have lost your keys, though it may seem easy to read the thing, in reality, it can be very frustrating. Here we have a guide which you can consider to find a locksmith service which is best for you. References: first of all, you should stay informed about the unpredictable. You should try to have a contact number of a reliable locksmith service in your phone book to deal with any unwanted issues. For this, you can try to get the reference of the friends, neighbors, and family to help you suggest a name which is trustable. Reviews: thanks to the google which helps every single user on the web to find the detail of the business such as address, contact details, and reviews. You can get the advantage of the reviews to find a local locksmith service which has a perfect record of past work. You can count on those businesses which are having a better number of stars and written reviews from the customers. Technique: one thing which you have to be sure about is the technique which is used for the repairs and replacements. You should always try to find those services who are up to date with the use of technology and equipment. 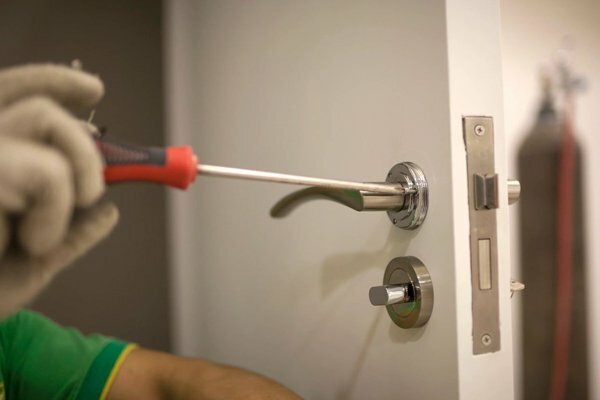 Moreover, they must have the best way to deal with a malfunctioning lock which could be fixed with repairs and no expensive replacements until needed. License: you should try to approach those locksmiths in town who are certified and licensed. They must have the authorization to work on locks and keys either it is residential, commercial, or automotive. When you find such a company which is certified and has skilled technicians, you are all set to hire with a final name for perfect locksmith services. Insurance: last but not least, when you are looking for a reputed and reliable name, you have to be very sure about the insurance for the products and service. The companies which are having an insurance policy tend to be concerned about the customer and technicians. When you get a tick mark for all these points, you are all set with a perfect helping hand which can help you for any kind of locksmith issue. Next PostNext Locksmithing Without a Certificate?